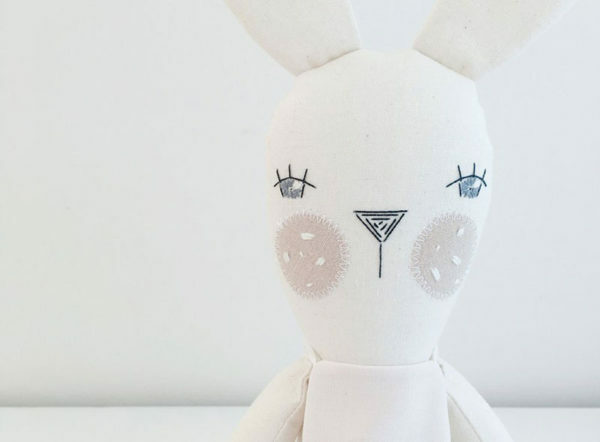 Bunnies, deer and cloth dolls, oh my! Perfect for sitting daintily on a nursery shelf or being wheeled in a toy pram, Little Peach Handmade is home to all things soft and pretty. 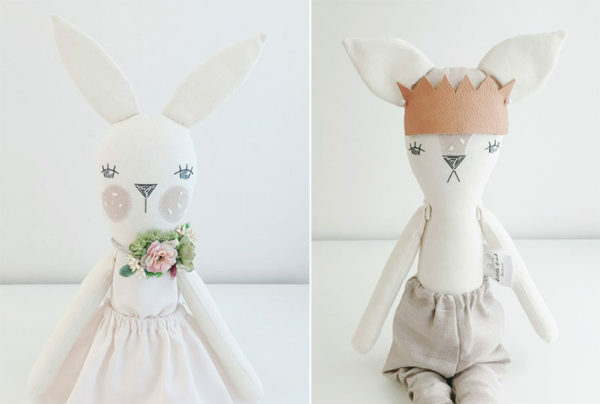 Jess, the talented doll maker behind Little Peach Handmade, creates the most gorgeous faced deer and bunny dolls I’ve ever laid eyes on. No doll is without exquisite embroidered facial details and their outfits are just as endearing. Dress Me Up Bunny and Dress Me Up Deer (priced $100 each) arrive at their new home dressed a custom made outfit, so your child can dress (and undress) their new little friend to their heart’s content. You can add to their wardrobe and purchase an extra outfit for these beautiful dolls for just $15. 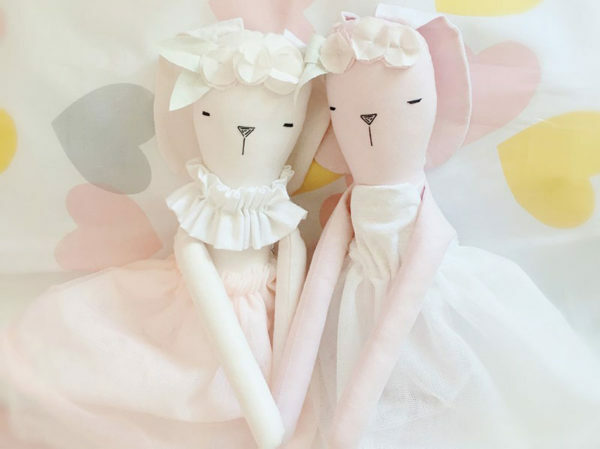 Also in the Little Peach Handmade collection is sweet Floppy Eared Bunny ($95), Misty and Pearl ($85 each) bunny dolls in all their fabric head pieced, tulle skirted glory. For dolls as sweet as peaches themselves, head to Little Peach Handmade.